Scaffolding accidents claim the lives of dozens of construction workers each and every year. While some of these tragedies are truly accidental in nature, others are entirely preventable. Employers have a legal obligation to ensure workers are properly trained and secured when working from great heights upon structures that are often suspended hundreds if not thousands of feet in the air. More than 65 percent of all construction workers carry out some portion of their job from a scaffold, and an estimated 20 percent of all serious and fatal construction injuries in the United States involve scaffolding accidents. Construction workers have the right to a safe work environment. When employers fail to comply with standards and protocols set forth by the Occupational Safety and Health Administration (OSHA) and needless injury occurs, victims and their families have the law on their side. Scaffolding accident lawyer Bart Bernard has a keen understanding of employer responsibilities and worker’s rights on the job. If you or a loved one was harmed in a scaffolding mishap, you need a Louisiana construction accident lawyer who is well-versed in labor laws and can fight for your rights to fair compensation. At the law firm of Bart Bernard, our compassionate and highly skilled legal team is here to answer your questions, evaluate liability issues and pursue maximum compensation in cases where employers violated OSHA regulations or exercised negligent behavior in failing to train workers in scaffolding hazards. If you suffered debilitating scaffolding accident injuries, worker’s compensation benefits may be insufficient to cover your medical bills, lost income and future loss of earnings. Attorney Bart Bernard will explore all avenues of recovery, and may be able to file a claim against a negligent third-party for monetary damages. In the construction industry, falls are the number one cause of death. According to recent research by the Bureau of Labor and Statistics, more than 70 percent workers hurt in scaffold accidents attributed the injury to the support giving way, being struck by a falling object or slipping off the scaffold surface. Had contractors and site managers complied with OSHA standards and safety regulations, the majority if not all of these incidents could have been prevented. In far too many cases, employers rent or borrow scaffolding and begin labor without ensuring workers have received appropriate training. Scaffolding can be brought down by just one small defect or improperly installed component. OSHA’s scaffolding standards have several important provisions designed to prevent scaffold accidents caused by faulty erection, lack of structural integrity, or insufficient fall protection. Was the accident the result of the scaffolding company? Some construction sites enlist the services of independent scaffolding companies to erect these temporary platforms and suspended work surfaces. If it is determined that a scaffolding company failed to erect the support or framework in accordance with OSHA guidelines, injured parties may have a valid third-party claim for damages. However, without a qualified attorney in your corner, it may be impossible to pursue a personal injury action for compensation. Bart Bernard leverages extensive legal experience handling work injury and construction accident claims for clients in Lafayette, Baton Rouge and throughout Louisiana. There are many potential parties who may be held liable in a scaffolding accident lawsuit, including material suppliers, contractors, sub-contractors and equipment manufacturers. What can be recovered in a scaffolding accident lawsuit? Serious scaffolding-related injuries can leave victims permanently disabled. Workers often suffer broken bones, nerve damage, traumatic brain injury, spinal cord damage, paralysis, and other serious harm due to unstable supports and scaffold failures. In the wake of a catastrophic scaffolding accident, you need a results-driven legal advocate who can hold responsible those individuals or companies who put profits over your safety. 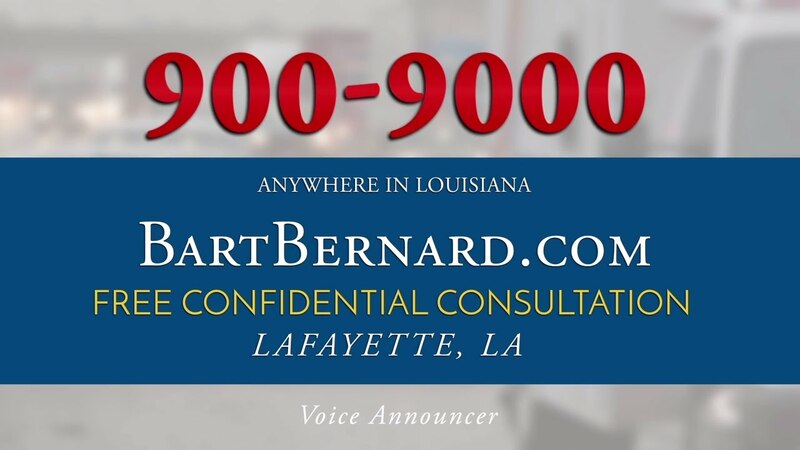 Bart Bernard handles all types of construction accident claims and provides experienced legal representation to injured workers in Louisiana. To arrange a free, no-obligation case review, please call our law firm today.